What is the Aeronautical Radio Operator’s Certificate (AROC)? Not to be confused with the ReOC (RPA Operator’s Certificate), the AROC (Aeronautical Radio Operator’s Certificate) is the qualification you need to transmit on aviation radio frequencies. In the interests of safety, there are rules for using aeronautical radios – in particular, transmitting on certain frequencies. Part 64 of the Civil Aviation Safety Regulations 1988 requires non-licensed personnel to be qualified to transmit on a radio frequency that is used for the safety of air navigation. So what has this got to do with flying drones/remotely piloted aircraft? No flying within 3nm (5.5km), or in the approach and departure paths, of a controlled airport (i.e. an airport with an active control tower, such as Brisbane Airport). You must land immediately if operating within 3nm of a non-controlled airport or helipad, and you become aware of an aircraft/helicopter flying there. No commercial operations flying 2kg or heavier drones/RPA if you’re within controlled airspace (unless you hold a suitable radio qualification, such as the AROC or a manned pilot’s licence). Although the AROC is not a mandatory part of RePL training, we strongly recommend it. As a certified operator, holding this qualification may provide a risk mitigation tool and could allow you to keep flying near non-controlled airports, even when aircraft are operating there. If you apply to CASA for a permission to fly within 3nm of a controlled airport, you will be required to monitor the radio (therefore you’ll need an AROC). Likewise, for operations involving small RPA (2-25kg) in controlled airspace (which extends well beyond 3nm in many cases, and over numerous capital city CBDs), the AROC will be required. Our experienced manned-aviation flying instructors will pass on their knowledge and help you gain this qualification. Our background as commercial pilots (in addition to being unmanned operators), which can explain radio usage from a pilot’s perspective, will further help you understand the environment you’ll be operating in. 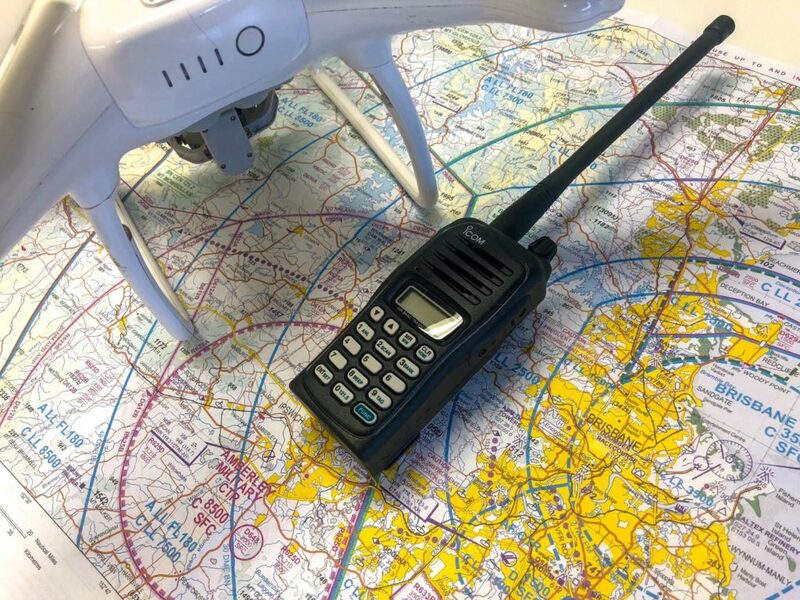 The AROC training involves completing one extra subject on our course (Aeronautical Radio), sitting a short multiple choice exam, and completing a practical exercise using a VHF radio. We also complete your English Language Proficiency (ELP) assessment as part of the training. The AROC training is an extra $400 in addition to the basic RePL course, and can be chosen during the enrolment process.